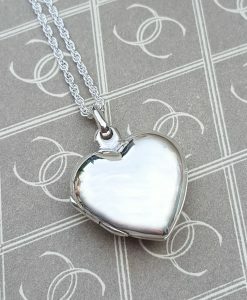 Beautiful personalised pendants and necklaces made from fine 9ct gold or solid sterling silver. 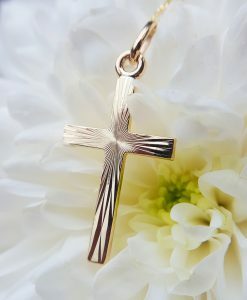 Engrave gold disc necklaces, bar necklaces, crosses and medals with your own special message. We can even engrave your handwriting or own design if you like! Need some inspiration? Check our engraving gallery. 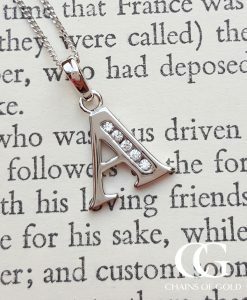 All of our personalised necklaces are beautifully gift wrapped and are delivered fast and free. 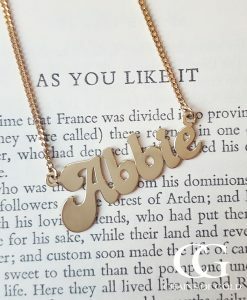 There's something really special about personalised gold necklaces, whether that’s fine gold personalised necklaces or silver. 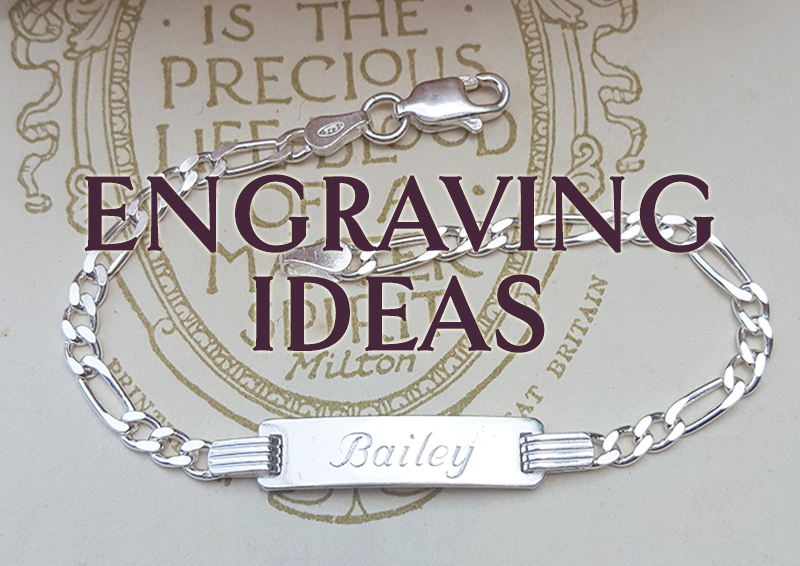 It shows the recipient that you went that little bit further when purchasing their jewellery gift, and an already thoughtful present has been personalised with an important name, date or phrase. The meaning of your engraving may be lost on us as we put diamond blade to gold, but it will absolutely warm the heart of the person receiving and wearing it. 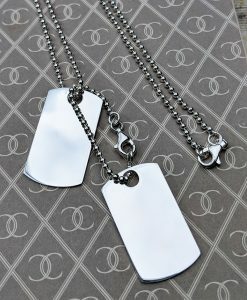 All of us tend to have quite an emotional bond with our jewellery, and we find, as jewellers, that people adore their personalised necklaces even more than they would a traditional necklace. 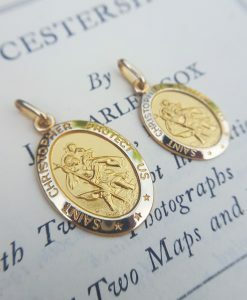 Whether that’s a personalised St Christopher pendant (our favourite message so far on one of these personalised gold pendants has to be the famous Dr Seuss line ‘oh, the places you’ll go!’), a fashionable and plain gold disc or bar with the names of children added, or a personalised cross necklace worn in memoriam of someone you want to forever keep close. 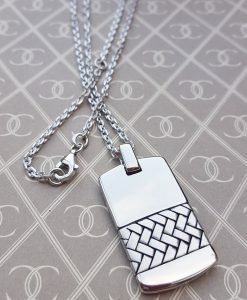 All of our personalised gold necklaces and personalised silver necklaces are engraved using a diamond blade, not a laser. This gives an etching that will last as long as the jewellery itself, and the gentle carving method is very pleasing to the eye. 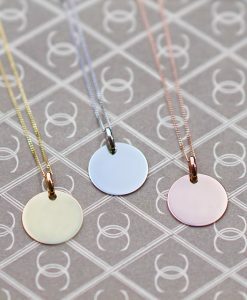 We can personalise our necklaces with a variety of stock images (hearts, footprints, stars, moons, fingerprints) and we have fonts ranging from the straight line, monogram, to the swirly script and italic ‘ye oldy worldy’ look. 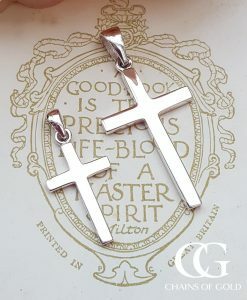 We can also engrave your handwriting on our necklaces which is a rather special touch, plus your logos and doodles too! 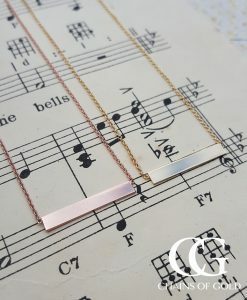 We’re quite adept an engraving our personalised gold necklaces, so if you have an idea you want to explore, let us know. It’s worth pointing out here that we only sell fine gold necklaces and solid silver necklaces – we do not sell plated, filled or rolled gold jewellery (silver covered with a thin layer of gold) – this type of jewellery does not last long and does not tend to be money well spent. 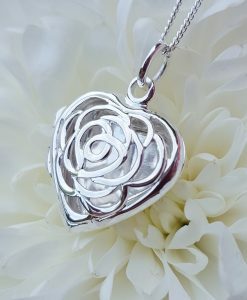 Fine gold and silver jewellery on the other hand, will last a very long time if cared for properly. 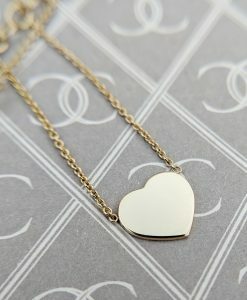 All of our personalised gold necklaces come with free gift wrap and free worldwide delivery. 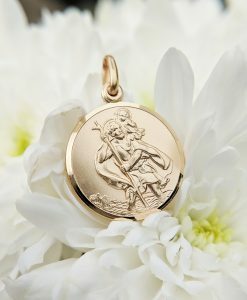 So although we are UK based, you can have our personalised gold necklaces and pendants delivered to USA, Canada, Australia, New Zealand and Europe at no extra charge. We are members of the British Jewellers Association and we are Assay Assured, so you can buy your jewellery online from us with just as much confidence as you can do on the high street.